CULLMAN – Currently 6.7 million people in the United States are living with chronic wounds. Due to the lack of awareness of advanced wound care, most of these people do not receive the treatment they need and deserve. Wound Care Awareness Week is dedicated to raising awareness of advanced wound care and its benefits for every patient living with chronic, non-healing wounds. Cullman Regional’s Wound Healing Center consists of 14 team members including specially-trained physicians, registered nurses, support staff and an HBO tech. Patients of the Cullman Regional’s Wound Healing Center receive the highest-quality chronic wound treatment available. 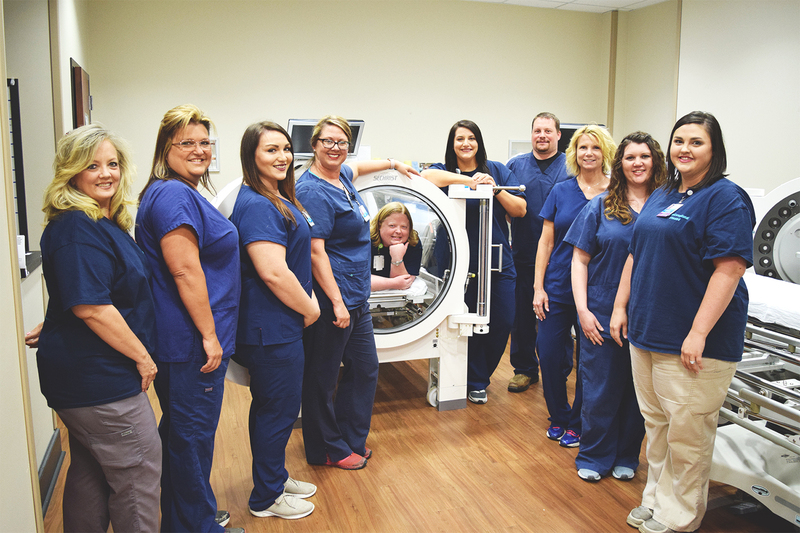 Current advanced treatments available at Cullman Regional are hyperbaric oxygen therapy, total contact casting, negative pressure wound therapy, bio-engineered skin substitutions and advanced wound care dressings. With a healing rate of 99 percent, the Cullman Regional Wound Healing Center takes pride in being an award winning wound care center with highly-trained professionals dedicated to providing the best wound care services to our community. These services are available Monday-Friday, 8 a.m.-4:30 p.m. through Cullman Regional’s Wound Healing Center. No physician referral is required with most types of insurance. For more information, visit www.cullmanregional.com or call 256-737-2980.